The high-low dice game is a fun, easy game to play with friends. The outcome is completely random, so it takes no skill and eliminates any natural advantages. Unlike complicated games with lots of pieces, you only need a pair of dice to play high-low. It's a quick game and can be used for gambling. 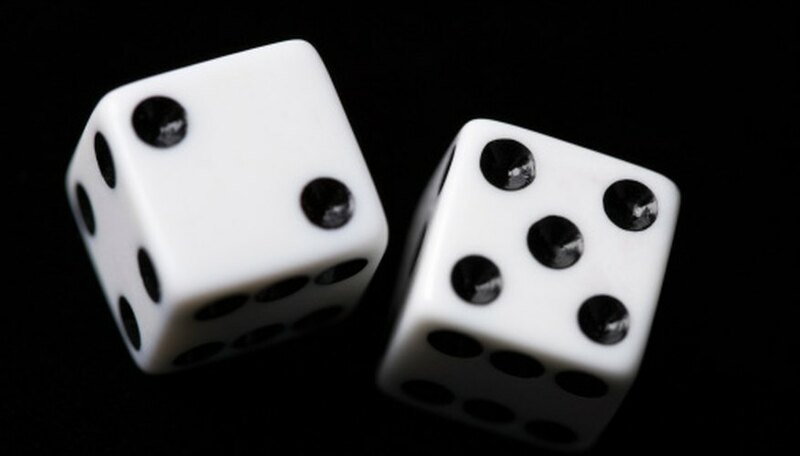 The outcome is considered high if the sum of the dice is eight, nine, 10, 11 or 12. It's considered low if the sum of the dice is one, two, three four, five or six . It's considered seven if the outcome is seven. Ask each person to place a bet. They can bet high, low or seven. Add the dice to determine the result. It can be low, high or seven. Settle the bets, if any, and start the game again. High and low bets payoff at 1-1. A winning bet of seven pays off at 4-1.